The stylish dressing table set from HOMCOM comes with a multi-purpose dressing table and a padded stool. 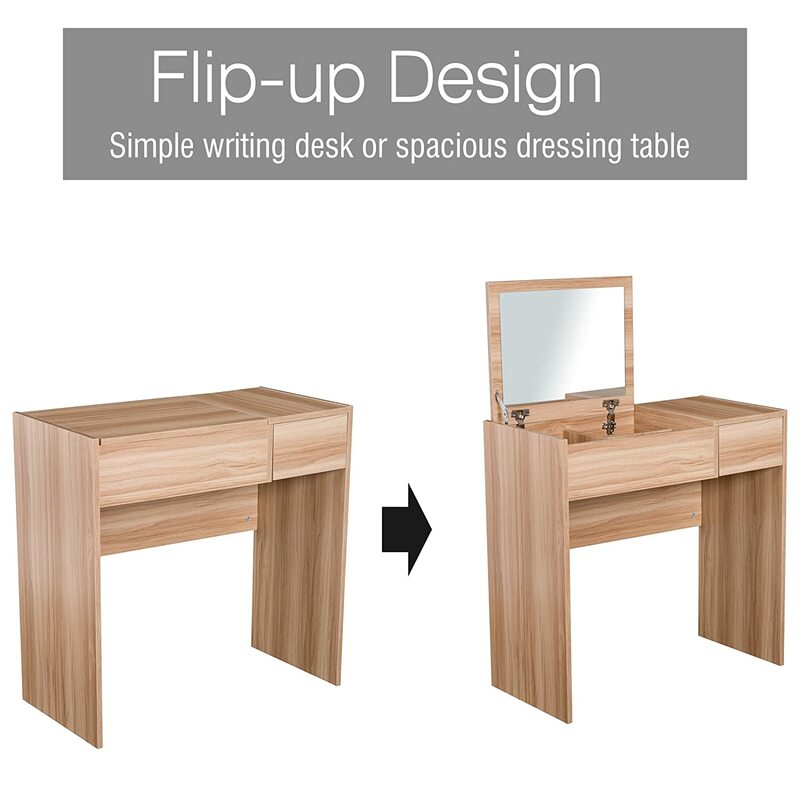 The flip-up design allows you to easily convert the dressing table with a mirror to an ideal writing desk with hidden storage space under the lid. The slide-out drawer offers added space. With smooth leather and soft sponge, the padded stool provides added comfort. Constructed with 16 mm-thick E1 chipboard, the table set is eco-friendly and ensures long-lasting use.